Home › ALL POSTS › John Ruka runs the 100m at Rio Olympics whilst celebrating his second birthday of the year. John Ruka runs the 100m at Rio Olympics whilst celebrating his second birthday of the year. 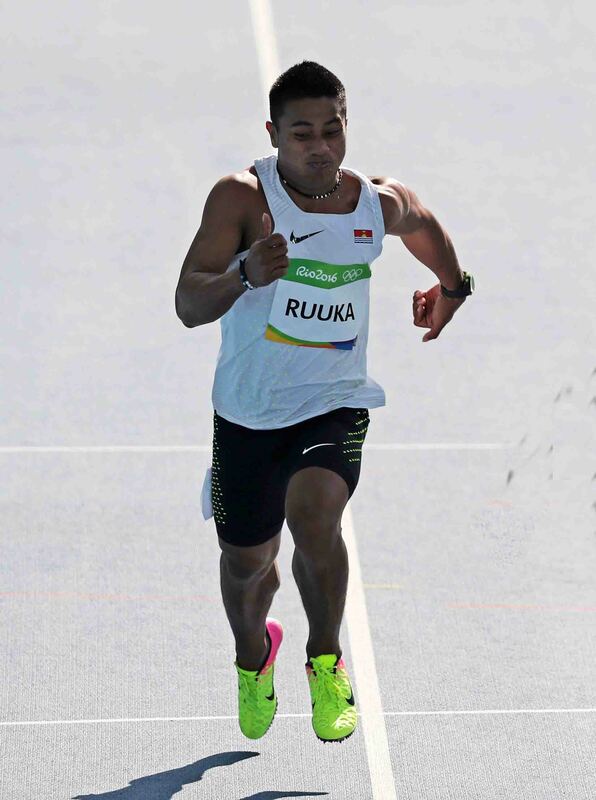 By Alice Toomer McAlpine (The Reporters Academy)Earlier this week, Kiribati’s John Ruka predicted that today would be the greatest day of his life, and today he confirmed that his prediction had come true. The track athlete ran the Men’s 100m at the Olympic Stadium this afternoon at the Rio 2016 Games, the very same day that he celebrated his 21st birthday. John also explained how different an experience running on an Olympic track is for him, compared to running back in Kiribati. The time difference between Rio and Kiribati meant that John is able to celebrate not one but two birthdays, as he turns 21 in each time zone. As birthday wishes from those back home flooded John’s Facebook yesterday, so did the messages of support for John’s race – supporters back home even baked John a birthday cake decorated with the Olympic rings. With one Olympic event and one birthday celebration completed in the past 24 hours, John can now celebrate his birthday here in Rio whilst looking back on what he has achieved as an Olympic athlete.